It is made of pink fabrics from dresses and quilts when she was little. After two boys I went a bit overboard on the pink. She had it on her bed for years and now it is our favourite picnic quilt.It is a quite simple quilt with 8″ squares and with this block randomly in the quilt. 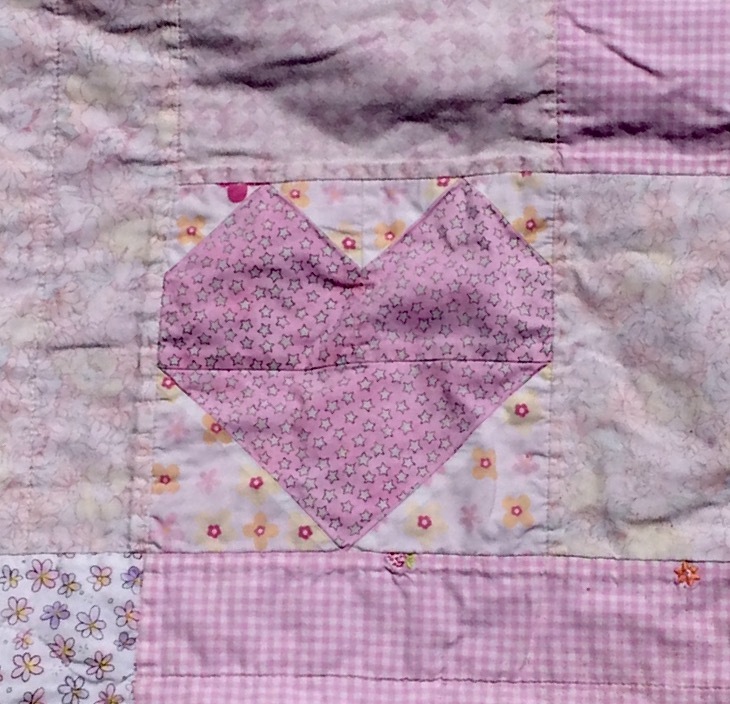 It has a simple border with corner blocks that has a heart shape quilted on them. 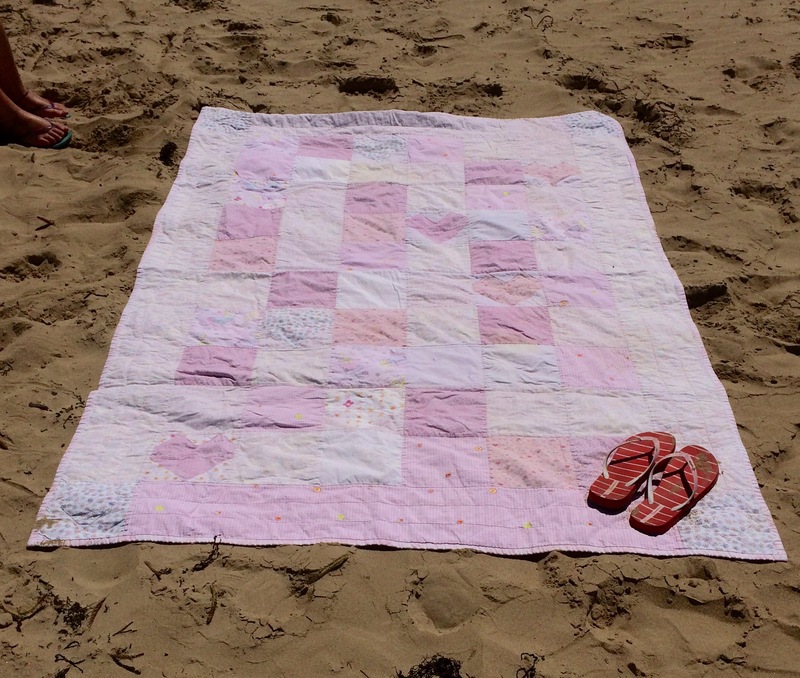 Last time we used the quilt was Saturday which was a perfect day at the beach here on the south coast of Australia. 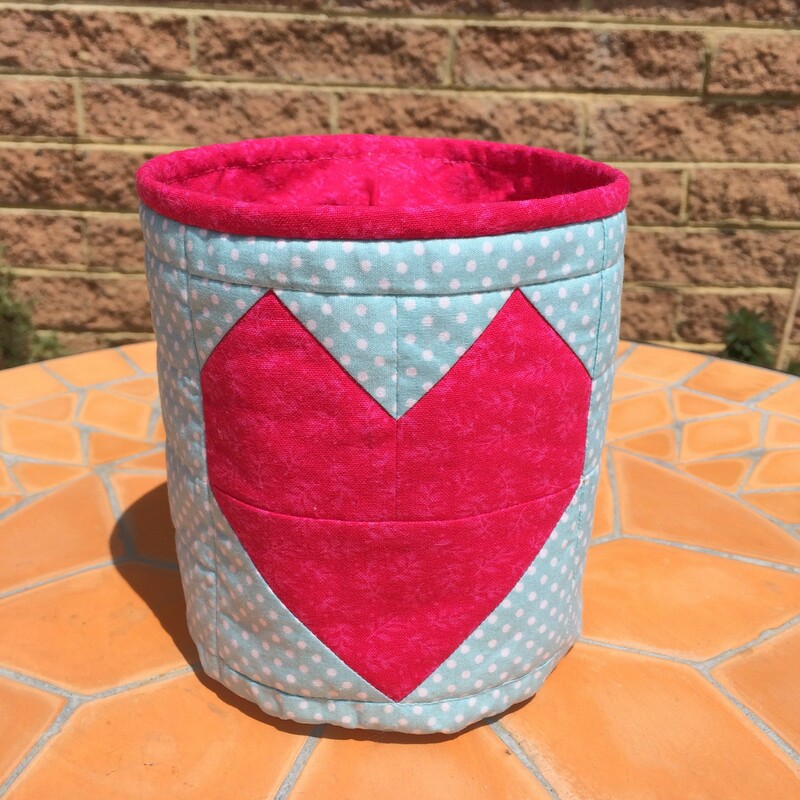 I have also made a fabric basket with a 4″ heart. Maybe you could make one, fill it with chocolates and give it to your Valentine.